In this timely, brief, and judicious reflection, Edward Long, a senior scholar in Christian ethics, surveys the political, religious, and moral dimensions of terrorism. Written accessibly and going far beyond the dominant war versus pacifism discussion, Facing Terrorism guides Christians through the many questions and controversies surrounding this horrific phenomenon. 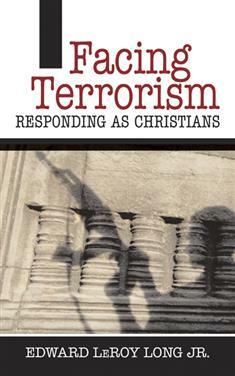 From defining terrorism and analyzing its causes to exploring the risks of eroding civil liberties in protecting against terrorism and living hopefully amidst fear, Long provides a thoughtful and informative analysis that will aid countless Christians in discerning how to respond to terrorism.